As a scientist and a research engineer, I had just received the Lord Jesus Christ as my personal Savior. I hadn’t yet determined what Jesus would like with regard to my continued career. I was doing fairly well financially, and thought that, perhaps Jesus could use my scientific background. I was deeply shocked at the Doctor’s statement and unable to understand the his logic. I felt that this was insanity. As the days progressed, I became aware of our country’s position on this form of killing. Frankly, I wondered whether there was something the Lord wanted me to do about what was happening in our country. Within a few weeks the Lord led me to a small group that was committed to doing something about abortion in our country. The group gave me some photographs of aborted babies, which I took to the church I was attending, and I visited every Sunday school class to show the pictures. But I knew that the Lord wanted more from me than this. What I decided to do – was make a film presenting what abortion had become in our nation. The title of the film was “Conceived in Liberty.” Before the film was finished I became aware of a Doctor in New York City who was managing the world’s largest abortion business. The interest here was that this individual was changing his mind about abortion. His name was Dr. Bernard Nathanson. He had acquired some video tapes of an abortion that had been performed by a young doctor of his acquaintance. I contacted Dr. Nathanson to see whether he would release his tapes to me for use in my film. As things turned out, the only day he could see me, was the next day, as he was scheduled to go abroad. Very quickly I arranged to take a red-eye flight to New York. Tired but excited, I met him the next day in his office. We hit it off, and he agreed to let me use the tapes. I returned to California ready to add the tapes to my film. When Dr. Nathanson returned to America he contacted me about making a separate film with his tapes. To do this he came to California and we shot the film at the Moody Institute of Science Sound Stage. 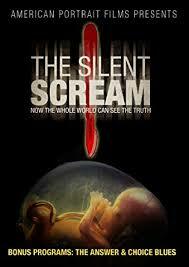 We called the film “The Silent Scream,” because it literally showed a 13- week baby being destroyed. The film was released to the American public at a press-conference held at the White House. This made the film extremely popular with Pro-Life groups around the country. I was then able to translate the film into 7 languages. As a result of this, the “Silent Scream” has become the most viewed piece of pro-life information in the world. I have continued my pro-life work, and my most recent project has been to launch a Constitutional Amendment that will end abortion in our country forever. Now I realize why the Lord brought me to an abortion newspaper’s account many years ago. I’m very happy to spend my time in ways that will glorify the Lord Jesus Christ.